Teenagers often shrug and ignore adults who tell them hard work and dedication pay off. But members of Nashville’s Hunters Lane High School’s band believe those words. In less than a year under first year band director Will Brooks, the little marching band of 22 members has grown to over 72, including majorettes and color guard, and every senior band member won a college scholarship. That “can do” attitude quickly attracted support for the MTSU graduate. Fellow Hunters Lane faculty member and baseball coach Clayton Dahl was immediately impressed by the rookie Brooks’ talent and motivational methods. So much so that one weekend, Dahl came in and painted the nondescript band room walls a bold orange and blue, with the words “Dedication” and “Motivation” in bold letters beneath shelves of previous band trophies. The result surprised Brooks and thrilled band members when they returned to school. The response from young band members has been first-place awards in all four competitions they have entered this year, including Battle of the Bands and the TSU Homecoming parade. Their hard work also set them up for the ultimate goal—college scholarships. Through one of his students, Brooks connected with Steven Johnson, also in his first year as band director at Concordia College in Selma, Alabama. As both men built a vision for their bands and worked to increase band size and to develop talent, they began exchanging information. On a trip to Nashville, Johnson had the opportunity to see for himself the quality of the Hunters Lane Band and offered scholarships to all nine seniors. The scholarships will cover the difference in college costs after Pell Grants, offering students a free college education. 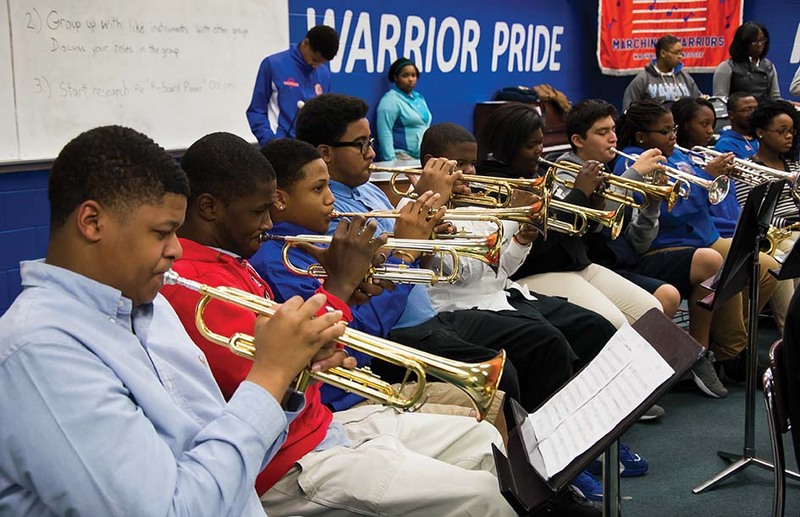 The connections between Hunters Lane and Concordia remain strong, assuring high school musicians similar opportunities over the coming years. The lesson has been learned. 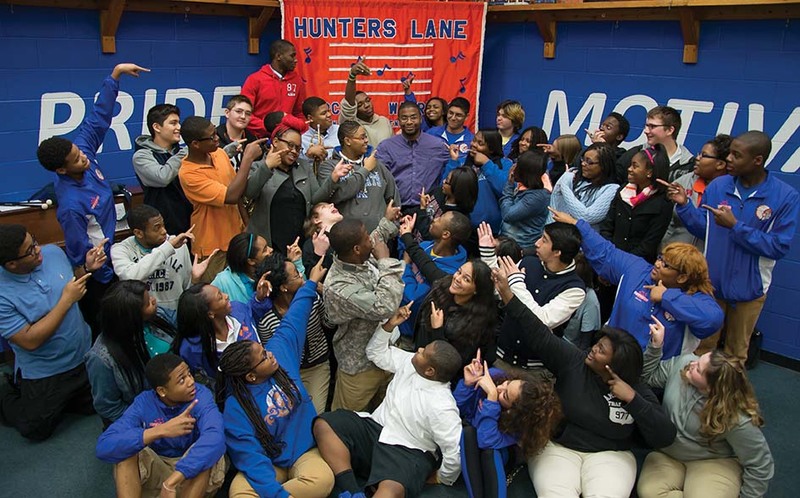 The members of Hunters Lane Band are believers. Hard work and dedication are rewarded. For more information about Hunters Lane High School band visit www.bit.ly/PUKZ23.